It’s time for a somewhat unusual link love post, but unusual in the best way. Because, quite frankly, these craft projects are actually becoming more and more common and we don’t hate them. In fact, there are plenty of reasons crafting with antlers is actually quite amazing. Some things to note before you send PETA after me. I don’t like hunting. I am not supporting killing deer in any way at all. These antler projects are trending all over the place. I’ve seen antlers in home decor magazines and there are TONS of painted antlers on Etsy that are simply gorgeous. These diy antler projects will inspire you to use this renewable resource in your home decor. I like to think of it as a “rustic meets modern” sort of project. We can all see the natural element in these antler craft ideas and by bringing nature indoors, we are admiring and bringing beauty in our homes. Appreciate the natural and abstract shape of antlers and embrace the uniqueness of each one. Plus, there are even diy faux antlers that you can try to make. Learn how to make antlers with paper mache or even clay and you’ll love the result. Painting deer antlers is just one way to make these natural pieces a little more urban and chic. It’s time to make deer antlers a part of your home decor this year. Deer Antler Artwork from Uniquely Yours…or Mine! 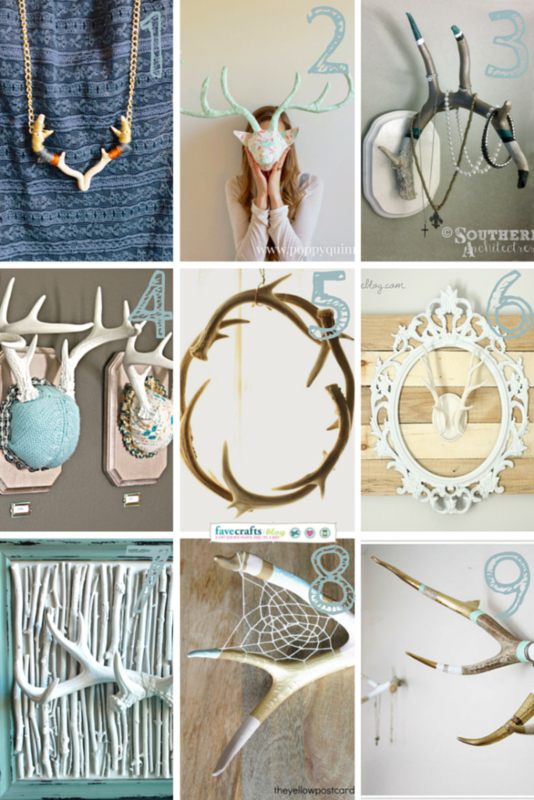 What do you think of the DIY antler trend? There is nothing more exciting than a new DIY jewelry piece, and one of the simplest ways to add to your jewelry collection is with a homemade ring. It can be hard to find just the right ring pattern. 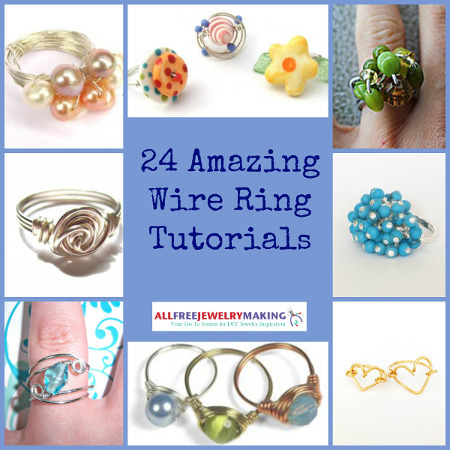 That is why we at AllFreeJewelryMaking have created this collection of 24 Amazing Wire Ring Tutorials. 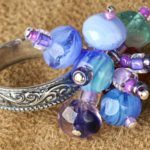 Whether you’re a fan of gigantic statement rings or prefer the simplicity of basic wire wrapped rings, there’s something for everyone in this group of wire jewelry tutorials. You’ll find delicate floral patterns and eye-catching beaded baubles that are deceptively intricate. After browsing these wire ring tutorials, you’ll be inspired to create a ring for your own taste in jewelry making. From colored bauble rings to spiral wire-wrapped tutorials, you are sure to find the right wire ring for you among this collection. Learn new skills like creating a simple wire ring base, or pick up a wire-wrapping technique. 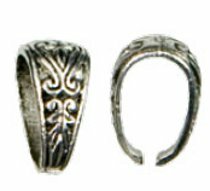 Find the right ring pattern for you amongst these fabulous tutorials. As far as wire jewelry free tutorials go, this Cute Stackable Beaded Wire Rings tutorial is hard to beat. 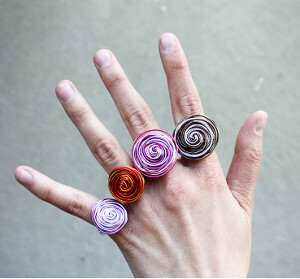 You can make several of these cute, budget-friendly rings, in a multitude of colors. Find even more colored rings that will be the talk of the town in this collection. Wire rings are all the rage, so why not make your own? With these beautiful Two-Tone Wire Rings, you’ll put yourself ahead of the fashion curve. Best of all, these DIY rings are perfect for novices who may not know how to make jewelry with wire. Check out this collection and create even mores ring that make a fashion statement with the simplest of materials. 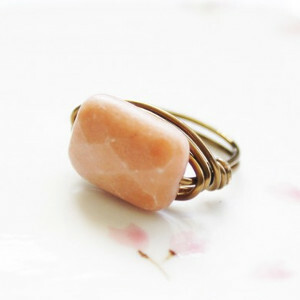 Learn how to make a wire ring that is both elegant and versatile with this tutorial for a Wrapped Peach Aventurine Ring. Like other DIY gemstone jewelry, you can substitute out the gemstones and personalize the piece. No matter what gemstone you use, this DIY ring is sure to be a favorite part of your homemade jewelry collection. Find even more wire-wrapping tutorials in this collection. From crystals to beads to the minimal elegance of plain wire, these wire wrapped rings are sure to become staples of your wardrobe for years to come. Be sure to visit AllFreeJewelryMaking.com for more wire ring tutorials, stylish wire jewelry pieces, and more homemade ring tutorials! Which DIY wire ring do you want to make? Earth Day is in just two weeks! Are you excited? You should be! Earth Day is not just a holiday for granola-lovers, eco-friendly activists, and neo-hippies. 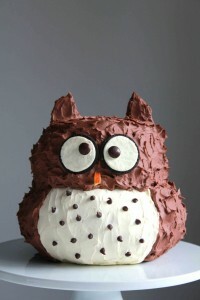 It is also a day that everyone can celebrate with chic jewelry pieces and some awesome DIY projects. The Earth is important to celebrate, so honor Mother Nature with fabulous nature inspired jewelry pieces. Recycled jewelry is also a great way to show you care for the environment, but still want to maintain a sophisticated look. 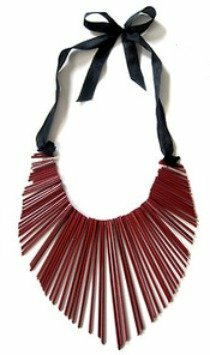 Wearable recycled crafts are an awesome way for DIY divas to save some cash while also going “green” and saving the Earth! Instead of tossing that plastic in the trash bin, turn it into the latest DIY jewelry trend. AllFreeJewelryMaking has put together a list of some of the best nature inspired jewelry tutorials, recycled jewelry crafts, and other Earth Day inspired projects. Get started making these eco-friendly, holiday projects today, and celebrate, and contribute to a healthy, sustainable Earth. One way to show your Earth Day enthusiasm is with nature inspired jewelry pieces. Check out this tutorial on how to make a Beaded Leafy Fringe. Free beading patterns are so much fun to try, and this technique can be used for a variety of projects. From trees to stones, you are sure to find the right DIY jewelry piece inspired by nature for you. 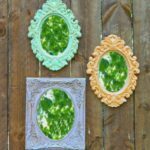 Once you look chic and sleek with your Earth Day friendly jewelry designs, you are going to be in the mood to create more exciting DIY Earth Day projects. 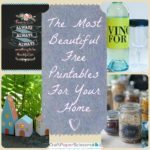 From green crafting ideas to coffee filter flowers, we’ve got you covered with this collection of Earth Day crafts. 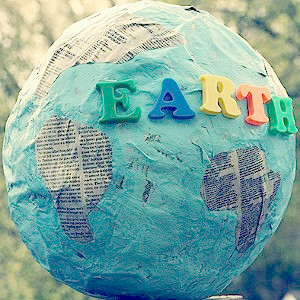 Earth Day is just around the corner, so start crafting these awesome eco-friendly projects today! 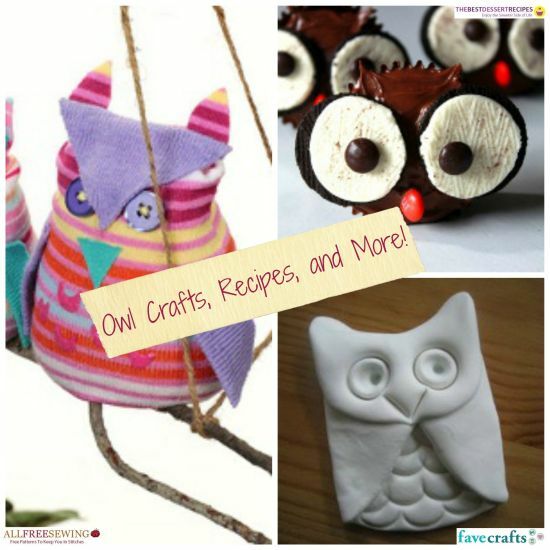 Be sure to check out even more Earth Day projects from AllFreeJewelryMaking, AllFreeHolidayCrafts, AllFreeKidsCrafts, AllFreePaperCrafts, AllFreeSewing, and Fave Crafts. Jewelry making is a lot of fun, and learning new techniques and tricks is always an exciting venture. 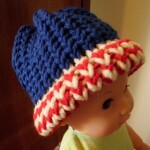 It is so rewarding to see your new creations come to fruition. Sometimes though, it just feels like your pieces are missing a little something special. They just need an extra piece or element to make them live up to your boutique-style dreams. The easiest way to find out what your piece is missing is to experiment with different elements and findings. The clasps, findings, and other little details of your jewelry designs make all the difference. From beaded toggle clasps to simple square stitch bails, you can give your pieces a professional look with tutorials like these from AllFreeJewelryMaking. Need even more tips on making beaded jewelry for beginners? Try this video tutorial for How to Attach Fold-Over Crimp Ends when working with cord in your necklace or bracelet projects. If you are working with ribbons, you can try this tutorial for How to Attach Ribbon Crimps. Master these techniques, and give your cord and ribbon necklaces a clean, polished look. For even more tutorials on jewelry making basics and learning new techniques, be sure to check out AllFreeJewelryMaking.com! Bonus! 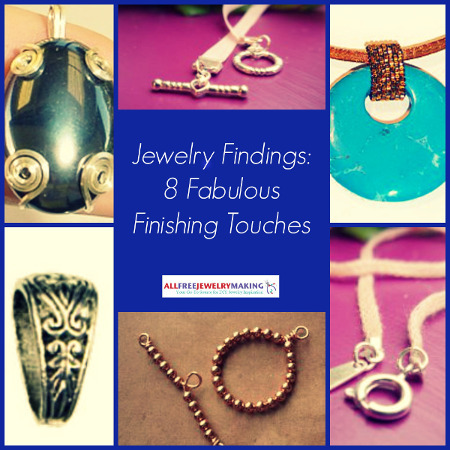 Want to add more findings into your homemade jewelry collection? 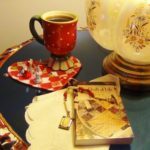 Enter to win beautiful findings and jewelry components to help you realize and elevate your own gorgeous jewelry creations with items from the Nunn Design Winter 2014 Collection Giveaway. This season’s collection includes a stunning array of flat tag mini tablets, gold and silver mini earring circles, ornate brooches, clay squishers, and an ornate earrings kit. We are giving away the latest Nunn Design collection to one lucky winner. The deadline to enter is April 14, 2014, at 11:59:59 p.m. Eastern Time. Which of these techniques do you want to try in your jewelry making? Still waiting for warmer weather and feeling the blues? Brighten up your mood with the trendy color of the season. 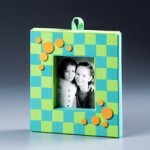 Tranquil turquoise designs are all the rage this spring. Adding this blue-green hue into your collection is the perfect way to leave the winter blues behind and get ready for spring. There are so many ways to incorporate this tranquil hue into your DIY jewelry collection. To help you find the perfect piece, we at AllFreeJewelryMaking have compiled a list of some of our favorite turquoise projects. 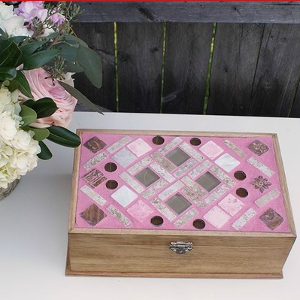 Find the right project for you in this cool hue with these 10 DIY projects. DIY earrings are a simple way to add a dash of color to any outfit. 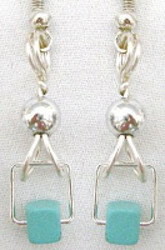 For a sleek modern look, try out these Contempo Turquoise Earrings. The touch of turquoise in these DIY earrings will add a nice, subtle pop of color to your outfit. This fresh take on dangle earrings is an easy and understated way to add DIY turquoise jewelry into your collection. For a little more funky flair, try out a pair of Southwest Spirit Turquoise Earrings. With their rich turquoise and brown hues, these homemade cluster earrings add a stylish dash of southwestern style to an outfit. 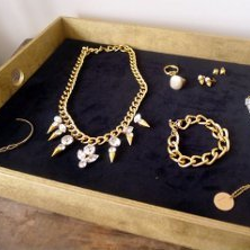 On the hunt for an accent piece to add to your jewelry collection? 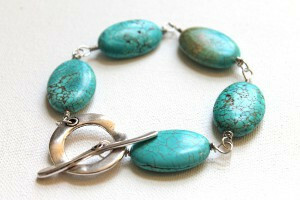 Learn how to make this Chunky Turquoise Bracelet. Turquoise stones are widely available, so you won’t have to break the bank to get this organic and eye-catching accessory. Still if you aren’t quite sure where to get turquoise stones, you can make your own beads that look like real gemstones with this Matrixed Turquoise Bracelet tutorial. Learn how to make polymer clay beads using the “lace cane” technique to get the same crackled, earthy effect. Last, but certainly not least, a quick and cool way to add a touch of turquoise is with a DIY ring. 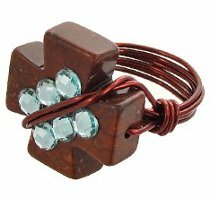 You can stick with earthy hues and craft this gorgeous Brown Turquoise Peace on Earth Ring. 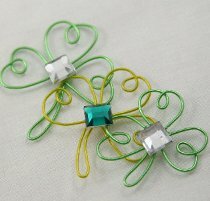 It’s easy free wire jewelry making instructions make it a must-have jewelry piece. You can also craft a Turquoise and Pearl Ring. This simple yet elegant DIY ring is the perfect thing to add a little sophistication to your everyday outfits. If you are looking for a way to make quick and cute rings, this project is for you. All of these DIY jewelry projects are great ways to incorporate turquoise into your collection this season. So enjoy this fabulous pop of color this winter and start crafting these fun jewelry pieces. 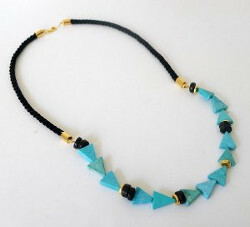 If you are interested in more turquoise homemade jewelry, check out AllFreeJewelryMaking.com. Where have you seen turquoise this season? Have you ever wondered how to start making your own jewelry, but don’t know where to start? Well there is no need to wonder anymore with these five fabulous beginner projects to help you start making your jewelry designing dreams a reality. Spring is a time of new beginnings, so there is no better time to start a new project, begin a new hobby, or find a new skill than this season! Designing jewelry is a lot of fun and is a great creative outlet, but it can be a little daunting to get started. 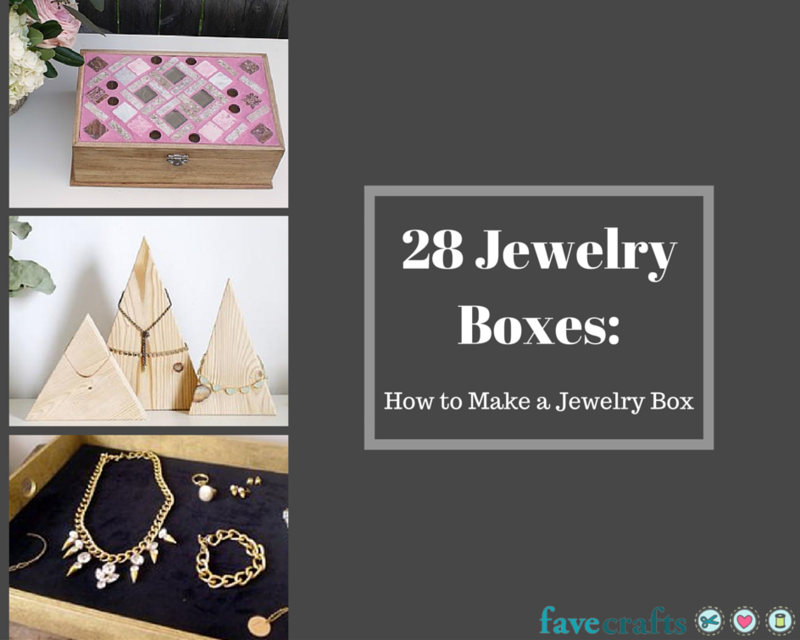 That is why we here at AllFreeJewelryMaking have put together a list of five fun and easy projects to lead you in the right direction. From simple statements to beginner woven bracelets, there is a project for everyone to try in this collection. 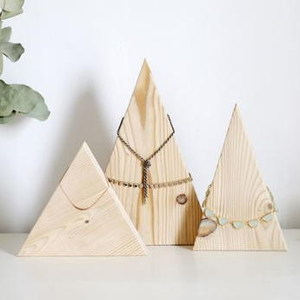 Start the spring season off right with these beautiful beginner jewelry projects. DIY earrings are one of the easiest ways to start making your own jewelry. 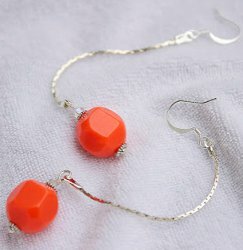 These Quick Coral Drop Earrings couldn’t be cuter, or easier to make! 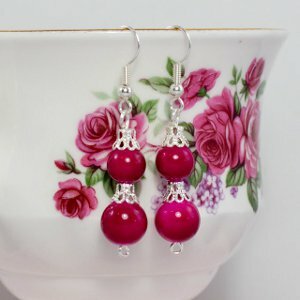 Learn how to make bead earrings in just five minutes using supplies you already have lying around with this simple tutorial. These easy earrings are super chic, yet still add a flirty punch of color, keeping the look light and fun and perfect for spring. Recycling fans will love this fantastic DIY jewelry piece. 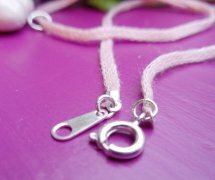 With some recycled washers and a little paint, you can create this lovely Ombre Washer Necklace. Crafting jewelry out of recycled materials is both frugal and fun. 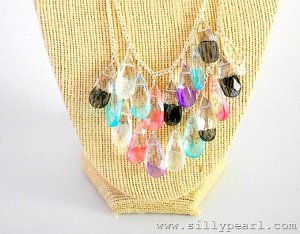 This project helps you get the trendy ombre look for a fraction of the cost of many designer and retail jewelry pieces. 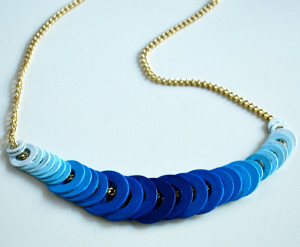 The only question you’ll have about this fabulous DIY necklace is which color to choose! 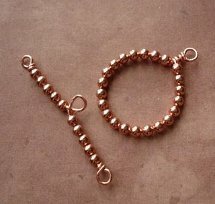 Simple bracelets are another easy and fun way to start making your own jewelry. Ease your way into bracelet designs with the Beginner’s Wrap Bracelet. 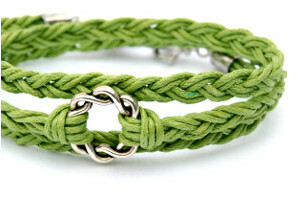 This tutorial features a simple bracelet design that is a great introduction to hemp bracelets. 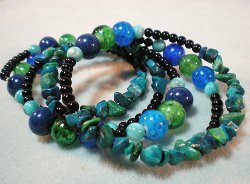 This easy, yet always stylish bracelets are a great way to build your bracelet making confidence. Remember when you were young how much fun it was to play with clay? 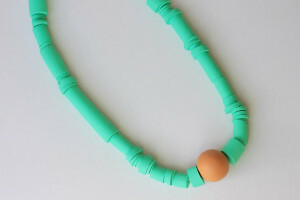 Well you can have that same enjoyment making this Mint Statement Necklace with Clay. 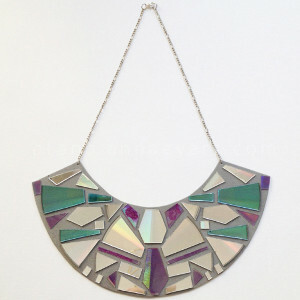 The bright bold color of this statement necklace makes it perfect for spring. Plus, this project requires few materials, so the price to make this beginner statement necklace is perfect for any budget. Last, but not least, we have a lovely fabric jewelry tutorial just for you. Flowers are an essential part of spring, which means they will also be a staple part of your spring jewelry collection. 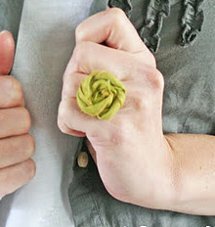 Grab some scrap fabric and twist, and soon you’ll have your very own Fabric Flower Ring like this one. They are so quick and charming that you’ll want to make a bouquet of them in every color! Be sure to check back at AllFreeJewelryMaking.com for the latest beginner jewelry projects, as well as tips and tricks for beginning jewelry makers! 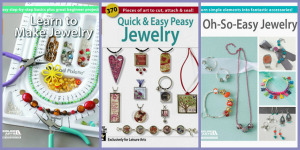 EXTRA: Enter the Leisure Arts Beginning Jewelry Making Books Giveaway! 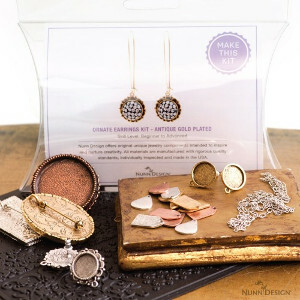 Enter to win a copy of Learn to Make Jewelry, Quick and Easy Peasy Jewelry, and Oh-So-Easy Jewelry. We are giving away a copy of each of these three fabulous books to two lucky winners. Learning how to make jewelry has never been easier than with these three helpful guide books from Leisure Arts. If you are interested in starting to make your own jewelry, these books are for you! Enter today to win this fabulous giveaway prize! The deadline to enter is March 31st, 2014, at 11:59:59 p.m. Eastern Time. What was the first jewelry project you made? You know the old adage…go big or go home. Whether it’s large statement necklaces or chunky bracelets and rings, sometimes bigger is better…and when it comes to jewelry, big beads are all the rage! From the simple to the exquisite, these 21 Big-Bead Jewelry Patterns are sure to take your favorite outfit to the next level. Add a splash of color with this Beaded Gemstone Necklace, or gear up for spring with the lovely Bubblegum Raindrops Necklace. 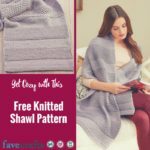 Both of these patterns are easy and fun to make and are sure to give your outfit high fashion style without the high fashion price. If you love accessorizing with big beads, you’re going to love this awesome collection of bracelets, earrings, and necklaces. 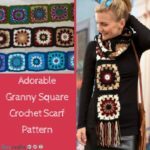 Great for women of all ages, this collection of projects is great for the upcoming spring and summer, and is a quick no-fail way to add a most welcomed splash of color into your accessory collection. 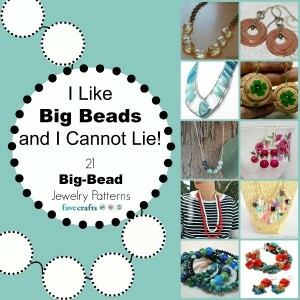 If you like big beads and you cannot lie, you’re going to love these awesome jewelry patterns! Still can’t get enough beautiful big-beaded accessories? Check out our giveaway below! BONUS! 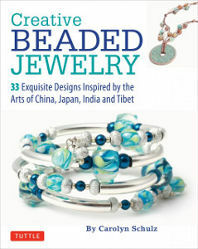 We’re giving away a copy of Creative Beaded Jewelry, an amazingly beautiful book filled with some of the most creative jewelry patterns you’ve ever seen! You have until March 21st to enter, and you can enter to win once a day…so the more you return, the greater your chances of winning this awesome giveaway. Get all the info at the Creative Beaded Jewelry giveaway page. Good luck! Like free stuff? Be sure to enter our other weekly giveways, going on now! It is less than a month until St. Patrick’s Day. Are you excited? I know I am! The stunning shamrocks, the green colored pancakes, the four-leaf clovers, what’s not to love about this fun holiday? Want even more reasons to be excited for St. Patrick’s Day? We have twenty-four for you! 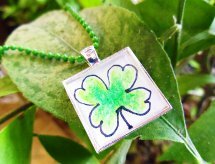 Below you will find 24 DIY Jewelry Projects for St. Patrick’s Day. From earrings to bracelets to necklaces, there are so many options for you in this collection of holiday jewelry for this fun and exciting occasion. 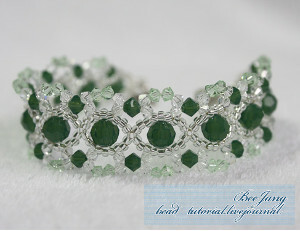 If you are in need of some green for this festive occasion, AllFreeJewelryMaking has got you covered. It’s a well-known rule you are supposed incorporate green into your ensemble on St. Patrick’s Day. 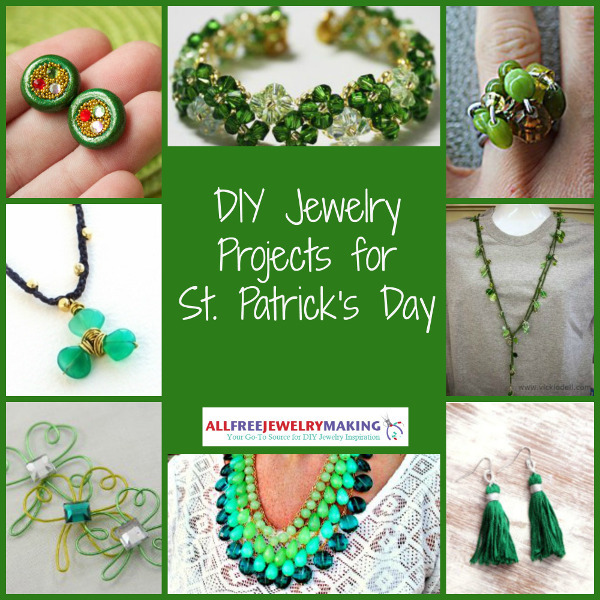 These homemade jewelry projects are an easy way to avoid a few pinches this St. Patrick’s Day and create an enviable green jewelry project. 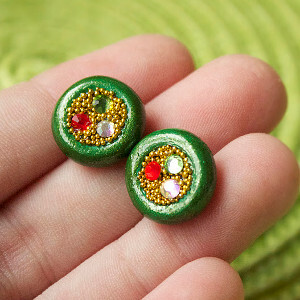 BONUS: Be sure to view the rest of this collection, and check out even more jewelry tutorials for St. Patrick’s Day! For more holiday jewelry and other stunning patterns, remember to visit AllFreeJewelryMaking.com. What is your favorite thing about St. Patrick’s Day?